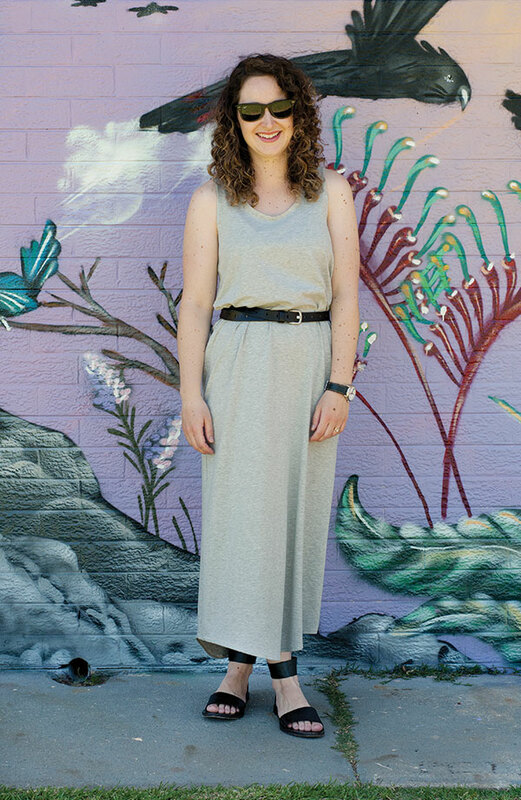 For a very long time I’ve been dreaming of a jersey Eucalypt maxi dress – and i finally made one! It’s one of those wardrobe basics that i keep pulling out over and over again – plus it was an easy make, so winning on all fronts. Ready to make your own? Lets do this! 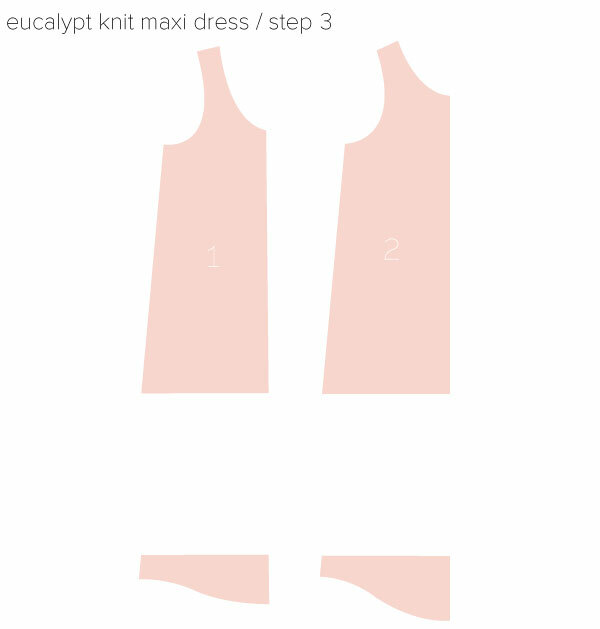 Cut your Eucalypt woven dress pattern one or two sizes smaller than you usually would. 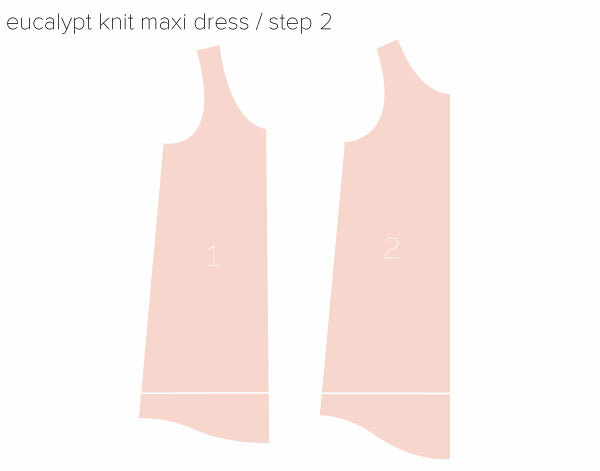 I went for one size smaller, and ended up with a nice loose drape – for a more fitted look you will need to take the pattern in more. If you would like to use the exact same fabric i did – it’s available in my store here. Redraw the edges of the pattern and fill in with pattern paper. Now you’re ready to sew! This part is easy! With right sides together sew the side seams and shoulder seams using either a serger/overlocker or zig zag stitch on a regular sewing machine. 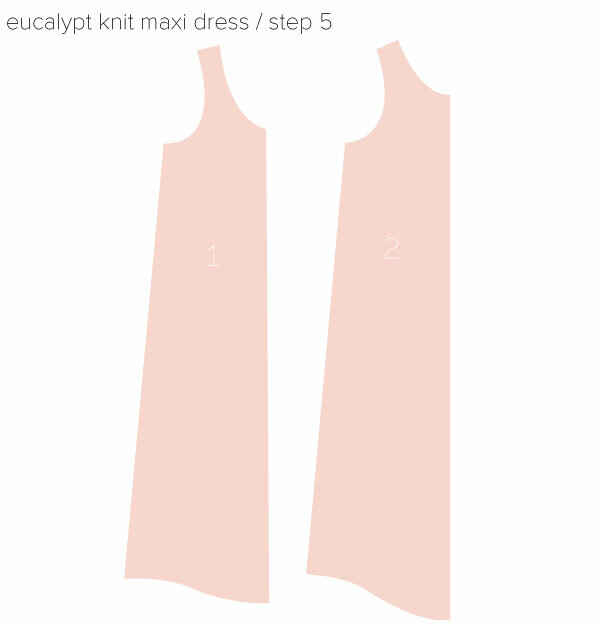 Finish the neckline and armholes using my easiest knit neckline tutorial. 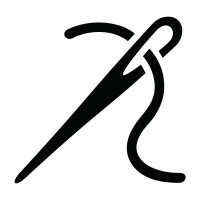 Leave the hemline raw or turn it in by 1/2″ all the way round and sew using a twin needle, coverstitch or zig zag stitch. SERIOUSLY. how easy was that?! i’m planning to make myself a few more – i am totally sold on the jersey Eucalypt! This looks SO easy to wear and so cozy! Perfect! I love jersey maxi dresses in the Summer! Love this! Having an excellent curl day Megan! Wonderful! Love this dress and the way you styled it. Thanks for this great tutorial. I love it, and you make it seem so easy. I really must book a chunck of time each week to get serious about sewing. I am back at my parents house now and my mum has a sewing maschine and I have some nice fabrics too, I should try this out, seems easy, but I am sure I will end up asking my mum to finish it, haha! There is nothing better, in my opinion, than a maxi dress! Love this maxi dress!! I want to sew one of it for the next summer! And very useful tutorial…it seems very easy to sew. I love this! Such a great variation to wear all summer long.